Having said that, the truth that will always prevail is, to outsourcing software testing is actually a better decision in comparison to creating a whole team. It can be simply said, considering all the possible variables, outsourcing QA stands to be a far better way of doing work. Although outsourcing software testing can be very beneficial for your business as a whole, it can come with a certain disadvantage as well, just like pros and cons are the two sides of the same coin. 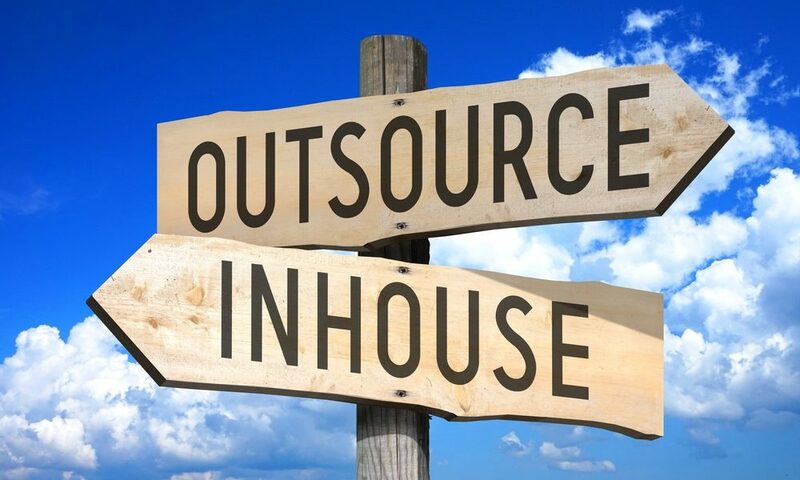 So let’s go ahead and check how outsourcing QA can benefit you and how it can also be a doubtful choice. Listed below are some of the benefits that you can get by outsourcing your software testing requirements to reliable testing companies. One of the biggest advantages of outsourcing software testing is, it doesn’t need staff within the organization. This is a positive aspect for a typical business. By outsourcing QA you will get access to a wider group of professional experts from various parts of the world. This means that the skill set for your testing project will also get bigger and better. You may also have some financial savings by outsourcing your project to a region where employee pay scale and taxation are low if in case your organization is located in a region where these aspects are a major concern. Your business is heavily influenced by the technology you are getting to use in your projects. Hence, it is necessary to have an effective testing approach by leveraging the latest and most advanced tools and technologies. Implementing these cutting edge tools will make your software projects robust and dynamic. That being said, when you outsource your software testing requirements to experienced testing agencies, you get a chance to implement all the advanced tools in your project. This will make your project more powerful, giving you more success in the market and increasing the overall productivity of your business. Outsourcing assures you in terms of business. Now consider the above-mentioned point once again. To have a successful business, you need the latest and most advanced tools and technologies for your software projects. These tools obviously come at great prices. Now when you outsource your software testing requirements, you save that capital and at the save time to benefit with quality. Every good thing comes with some cons and outsourcing QA is no different. Listed below are some of the disadvantages of outsourcing your testing projects that you should be aware of. This can be a big limitation of outsourcing software testing projects. For instance, if you are outsourcing your QA requirements abroad, there are ample reasons for worrying about factors such as time zones and language barriers. This can restrict productivity for the in-house software developers. But, nowadays you can get best testers throughout the world without any kind of language barriers. But you need to interview them first before directly choosing them. Security is a big concern if your project includes sensitive data. So, if you wanted to outsource software testing service from any firm, make sure that your code is secure with that QA firm. When you outsource your testing project, you lose physical control over it. You cannot really watch over its progress. You can just get information about its status over phone calls or through emails. Anyhow, this is the best option if you don’t want to take any burden of testing your product as you have a team who is doing that testing for you. Employing your in-house testers can also prove to be beneficial. The obvious point here can be, easy communication. Having testing and developing team together with one office can remove barriers of language and difference in time zones. You can also have maximum control over your ongoing project and watch over it whenever you want or are not convinced. Moreover, as the name of their company is connected with the project, the in-house testers would be more careful and responsible about the task they are performing. To be very honest, there is no specific algorithm to judge which one is better, in-house testing or outsourced QA. It just depends on the organization. It is even possible to make use of both the testing approaches based on the project you are undertaking. So make sure you take a wise decision, keeping in mind all the advantages and disadvantages of both the approaches.